Around the world there are many variations on the ancient folklore of the merpeople, such as the European Rusalka, the Greek Sirens and the male Vodník from Slavic mythology. We wanted to evoke the Selkie, the Gaelic seal folk who are said to emerge from the ocean, shed their skins and live on the earth as human beings. The sombre and melancholic colour palettes of the dark fairy tale illustrations of Arthur Rackham and Edmund Dulac drew inspiration in these series. 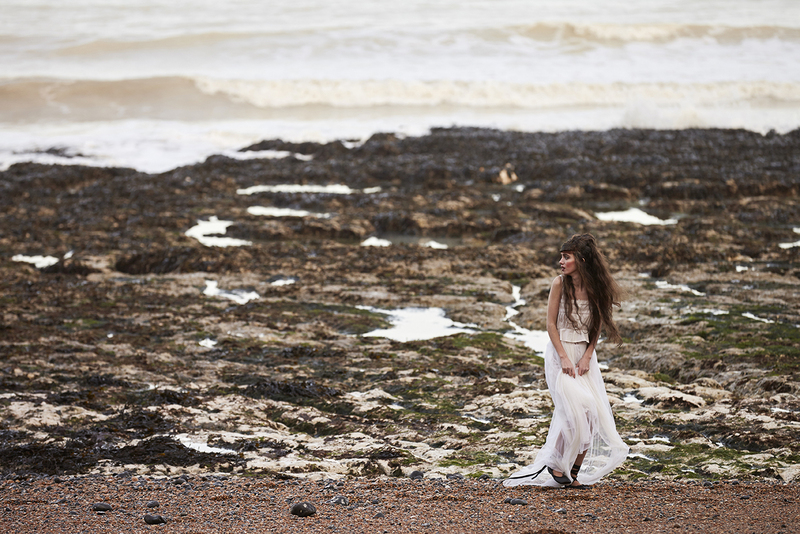 A girl walking on the beach is a landscape reminiscent of these stories where the “selkie” arrives to an alien space, and invites spectators to imagine their own tale.